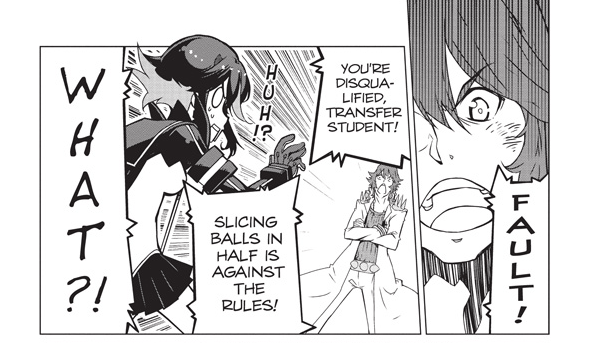 Like Volume 1, Kill La Kill volume 2 continues the wackiness in the series however it is going through it really really quickly. Then again we are talking about adapting a 24 episode anime into 3 volumes so a lot of the amusing stuff in the anime is being cut out, for example, we still have not even seen much of Nudist beach yet! While this means that next volume will be action-packed, it also means that many fights will likely get either cut out or cut short. Remember the fights with Uzu and how he sewed his eyes shut after losing? I wonder if we will even see this happen in the manga. I will be disappointed because that fight was part of his character development and missing that means we miss out on getting to know some of these characters better. At least the art style is still as good as ever. There is one two page spread of Gamagouri yellink at Ryuko and Mako that is so great and made me laugh quite a bit because of how over exaggerated his facial expression was. 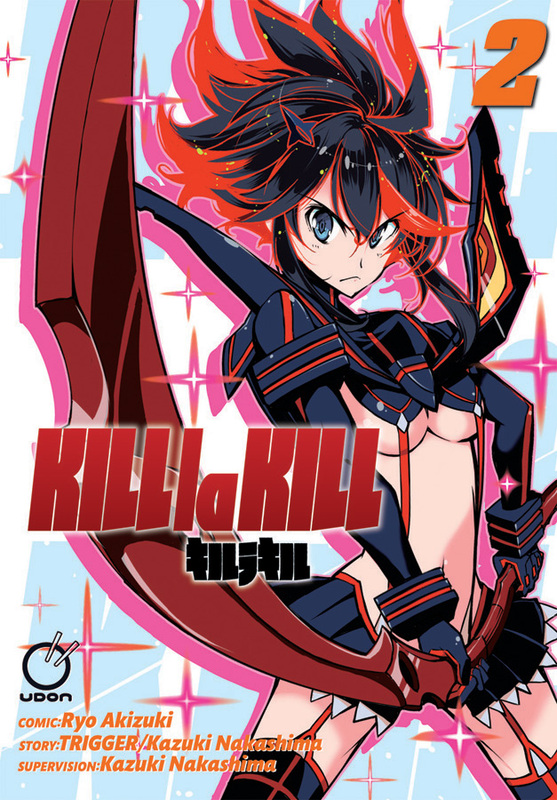 Overall Kill La Kill Volume 2 is still a fun read however it is disappointing that so much of the anime is being skipped. Part of what made watching the anime so amusing was seeing all the different characters and their distinct personalities, motivations, and fighting styles. A lot of that is lost here and people who are just reading the manga are really missing out. You do get one of Mako’s infamous speeches but it doesn’t compare to this. What is here is alright, but only if you have already seen the anime.